Standing only 5'5" and weighing a good deal less during the Deadball Era than his listed playing weight of 155 lbs., Rabbit Maranville compiled a lifetime batting average of just .258 and is known as much for his zany escapades and funny stories as for anything he accomplished on the diamond, but his outstanding glove work kept him in the big leagues for 23 seasons and eventually earned him a plaque in Cooperstown. Maranville improved his batting average to .283 during his second year at New Bedford, and the Boston Nationals purchased his contract for $1,000. Reporting to the club on September 4, Rabbit got into 26 games and made 11 errors while batting .209. Maranville sat the bench during the 1913 exhibition season until the Braves arrived in Atlanta on Easter Sunday. After going to church that morning, he put on his uniform in his hotel room and boarded the team bus. Maranville picked up three hits against Christy Mathewson on Opening Day as the Braves won, 8-3. He went on to hit .247 in 143 games that season and remained the regular shortstop for Stallings' entire tenure in Boston. Maranville appeared in all 156 games during the miracle season of 1914, driving in 78 runs out of the cleanup spot even though he batted only .246. He came up with many big hits during the Braves' pennant drive, but none was more important than the game-winning home run he belted in the 10th inning on August 6--even though he was suffering from a severe hangover from drinking too much champagne at a dinner party the night before. Maranville's greatest contributions, of course, came with the glove. 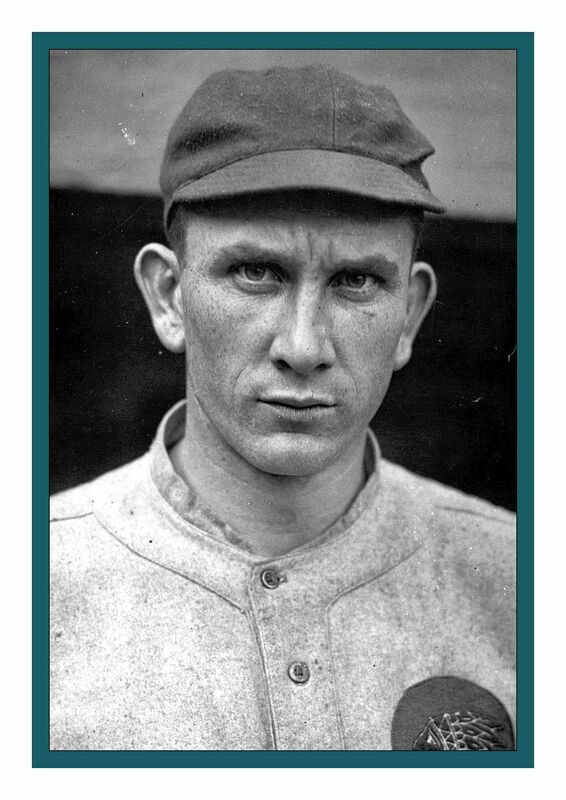 Boston had purchased second baseman Johnny Evers from the Chicago Cubs during the previous winter, and he and Rabbit gave the Braves the best middle infield in baseball. Though no sportswriter ever penned a poem about Maranville-to-Evers-to-Schmidt, that combination turned far more double plays in 1914 than Tinker, Evers, and Chance ever did in any one season. "It was just Death Valley, whoever hit a ball down our way," Rabbit recalled. "Evers with his brains taught me more baseball than I ever dreamed about. He was psychic. He could sense where a player was going to hit if the pitcher threw the ball where he was supposed to." Evers' omniscience paid off in a big way during Game Two of the World Series. Heading into the bottom of the ninth, the Braves led, 1-0, but the Athletics had men on first and second and only one out. The batter was Eddie Murphy, a fast left-handed hitter who Maranville claimed hadn't hit into a double play all season. Rabbit was already playing only 10 feet from second base, but Evers looked over and told him to move closer. The young shortstop followed orders, moving only five feet from the bag. Bill James was about to deliver his pitch when Evers called time and instructed Rabbit to move even closer. Maranville moved within one yard of second base. On James' first pitch, Murphy hit a rifle shot between the pitcher's legs. 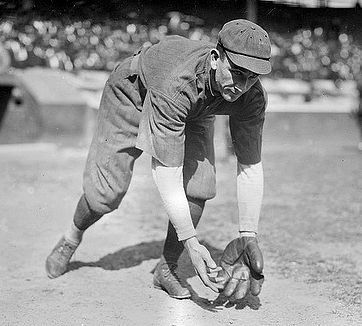 Rabbit was practically standing on second when he fielded the grounder and fired the ball to first to complete a game-ending double play.